Originally from Albuquerque, New Mexico, I moved to Arizona in 2013 with my husband and two Boston Terriers to attend nursing school at Brookline College. While there I received both my Bachelors and Master’s degree in Nursing. My experience includes the acute care setting (med/surg, progressive care), regenerative medicine, and home health. 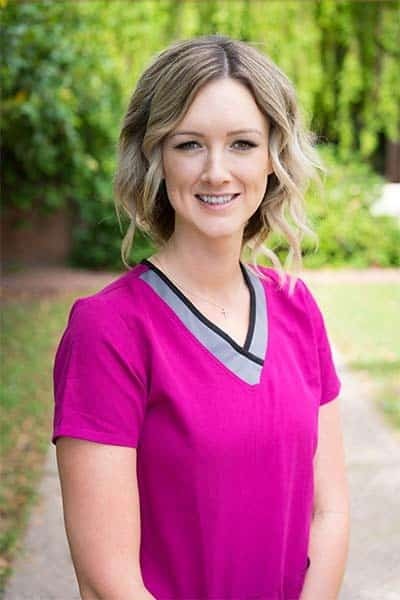 Having a strong passion for natural medicine and wellness in my personal life, I was determined to practice nursing in an environment that had the same values. I believe that the true fulfillment of being a nurse is the ability to empower patients through education and compassion and to develop meaningful relationships with them. In my free time, I love exploring outdoors, practicing hot yoga, and serving in my church. My strong faith and compassion for others has guided me to where I am today in nursing.